Psychic Event: Spirit World events are best described as psychic nights. 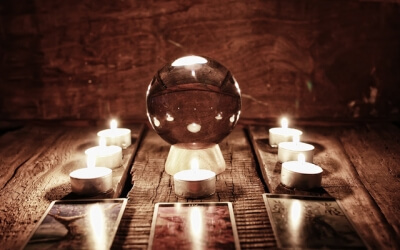 Our family of psychics and mediums will provide short taster readings throughout the evening, then at the end you will have the opportunity to book in for a personal reading with the mediums. The team of mediums will vary at each event. If you are looking for a friendly, relaxing, social evening out then this would be ideal. We have some amazing mediums lined up for you so you won’t be disappointed. At the start of the evening you will be seated at your table and will be joined by a medium. The medium will spend 20 minutes with your table and will attempt to give a reading to 2 people. At the end of the 20 minutes the medium will move to the next table, and a new medium will join you and 2 new people will receive a reading. Each table seats 8 Although we cannot guarantee it we hope that everyone will have had a reading by the end of the night. Spirit World is growing fast. We offer psychic nights and development workshops. Take a look at our events. Notes: Join our family of mediums for an evening of psychic readings. This will take place in the spacious Billson Room. Why not make it a social evening with your friends.